Visit us at https://www.facebook.com/CraftyWeasels on Facebook! 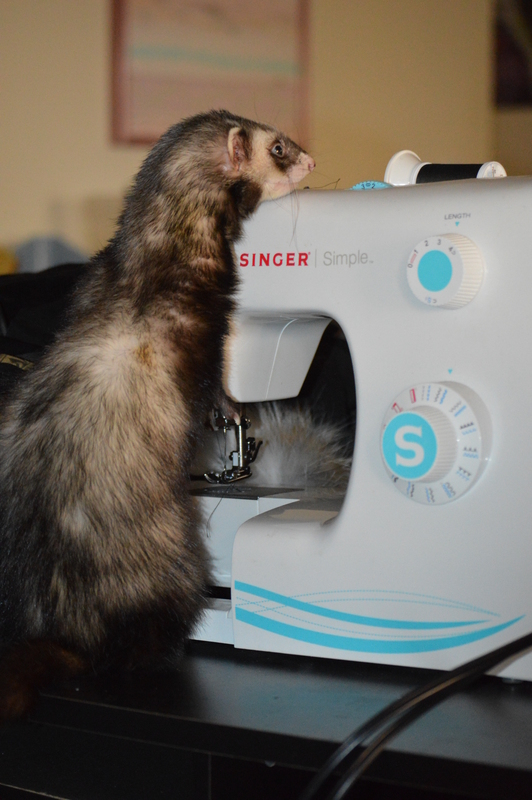 Morgan’s Boomer is a true Crafty Weasel! Shelters in need of new or additional bedding please email your request to Karen at kmbunnell@bellsouth.net. Please include the shelter name, operator, approximate number of ferrets, type of cages you use and address you would like bedding sent to. Ferrets in hospice or foster homes can be included in your count or you may send an additional request for bedding to be shipped directly to them. There is no cost to you, all materials and work is donated by animal lovers and our members to provide comfortable new bedding for shelter ferrets. If this is your first visit to our website, let us introduce ourselves. 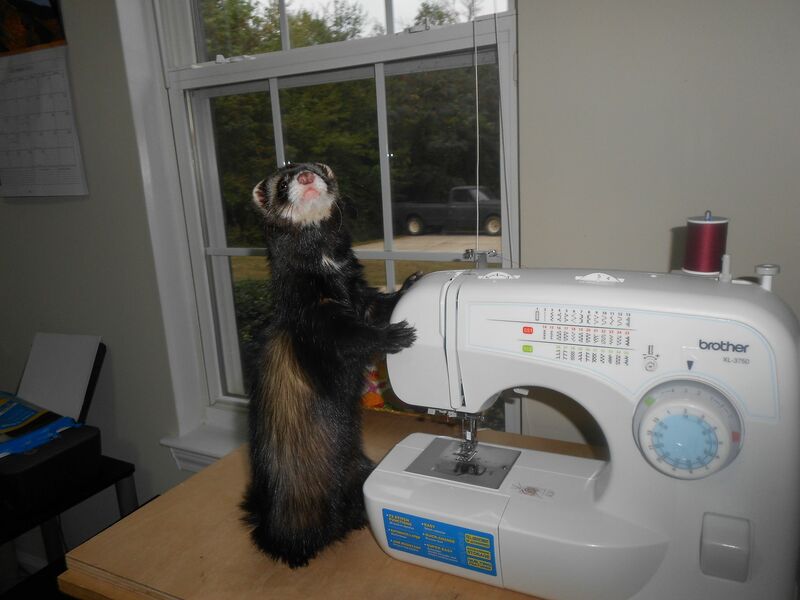 We are a group of ferret lovers who get together on the second Saturday of each month to sew bedding for ferrets in need. We sew everything from hammocks and sacks to barrels and tunnels and lots more! Our group would not exist without the heart of our volunteers who provide their time along with materials, food and money to help offset the cost of shipping. Everyone works! We have an assembly line from start to finish, and everyone who volunteers has a critical part in the process. Every level of sewing experience is welcome. We have many different tasks and I’m sure that one will fit you! They range from cutting, pinning and ironing to flipping, sewing, and trimming threads. We’re not just for shelters! We do cater mostly to ferret shelters, fosters and sanctuaries; however, we are also part of the ferret community and can help individuals in need. If anyone is owned by ferrets and is in desperate need of bedding, our group is willing to chip in and donate a few items; sometimes new bedding, sometimes slightly used from our members. We do everything we can to help fuzzies in need. There is always great food and lots of fuzzy lovin’ time! After all, we do what we do for the ferrets.